Our small vegetable garden is doing quite well. 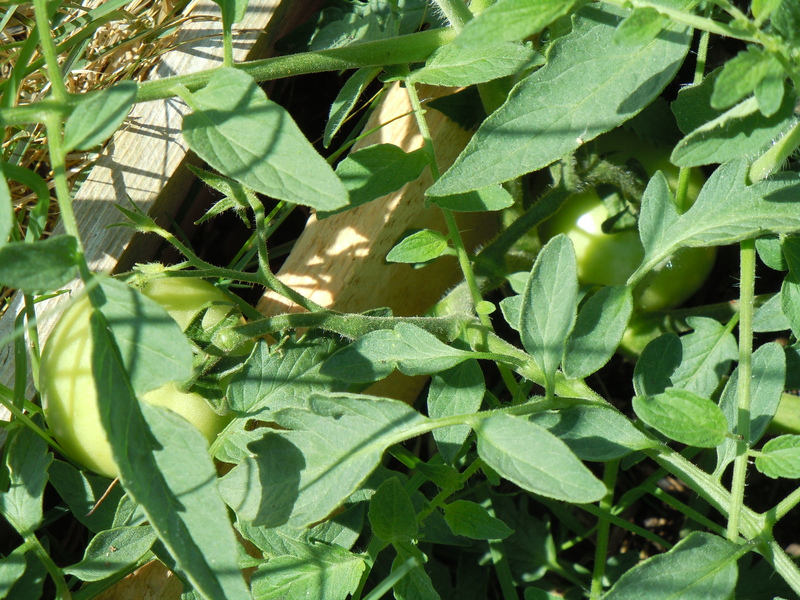 We’ve spotted some young vegetables already sprouting up….peppers, tomatoes, zucchini, and the cauliflower too. 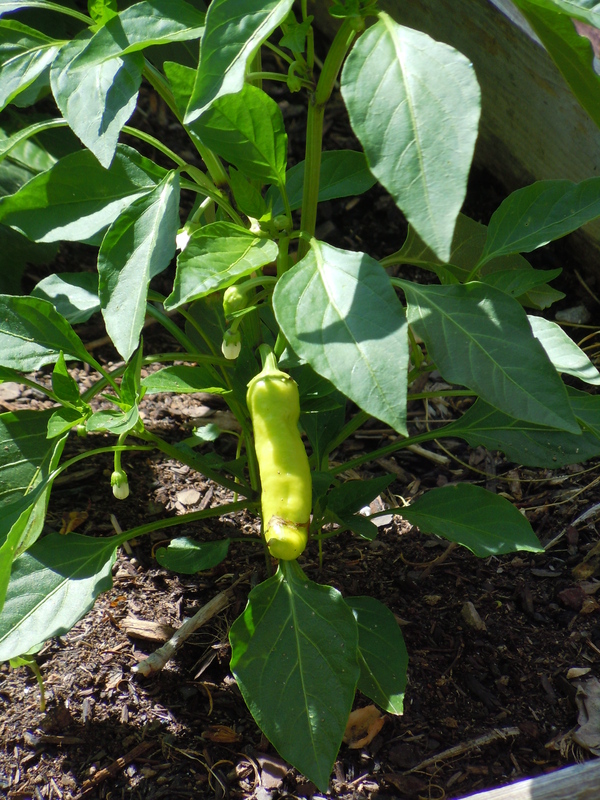 Here is a small banana pepper already hanging on the vine, and look close in the pic below and you’ll see some small green tomatoes.